This post will mark the end of procrastination for a few things. And inform you of some ongoing procrastinations. It will also be helpful for anyone who forgot what I looked like. Before we get to pictures, here is an explanation for the first bit. I had my hair cut a few weeks ago. I hate going to new places to get my hair cut because I've had several bad experiences getting my hair cut at salons. Fortunately, Bellezza in Charleston is absolutely wonderful. I recommend it if you happen to be here and need your hair cut. 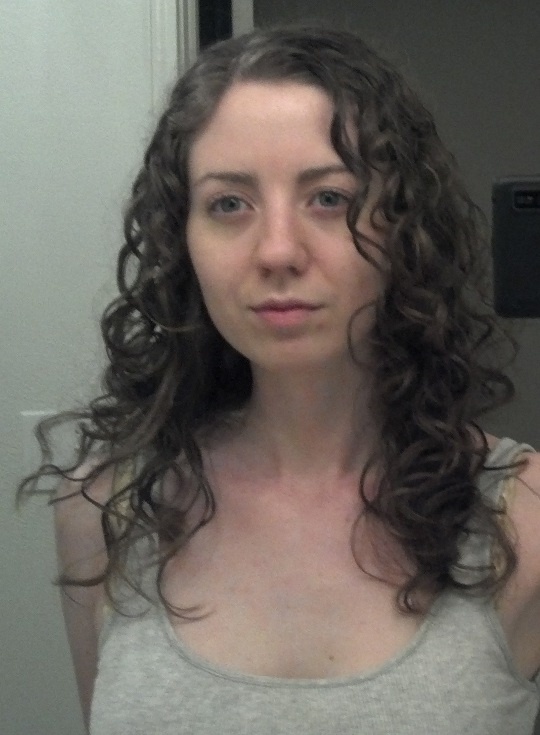 I'm very happy with how my hair turned out. 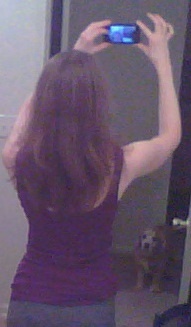 I didn't get it cut much shorter that it was, I mainly had all the dead/split/dry ends cut off and many layers put in. 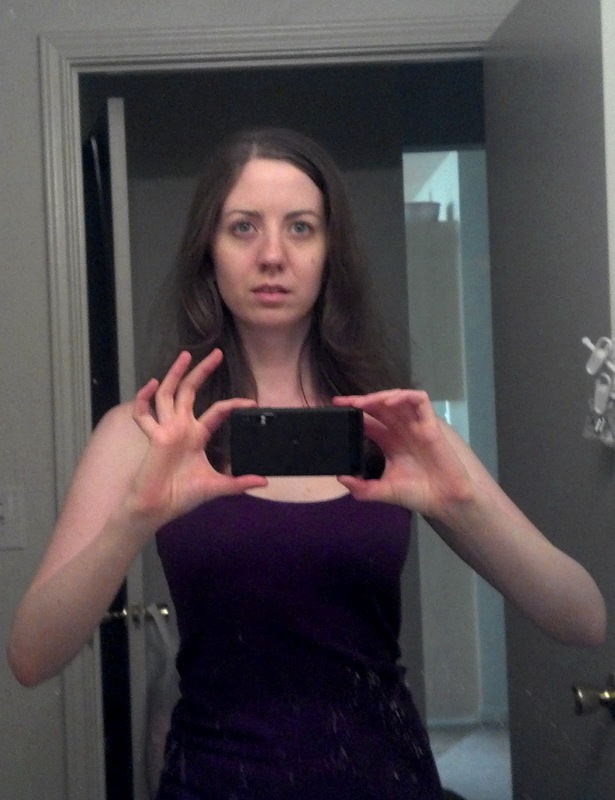 I hold the phone so delicately. Seeing the phone in person you wouldn't believe that. It is very beat up and has a cracked screen. I tried to get a picture of the back of my hair, but I didn't do a great job (the front facing camera is also much lower in quality). I only like this one because you can see Lucky in the doorway. He also had no idea what I was doing. It took several days of trying to get a picture of my hair curly. 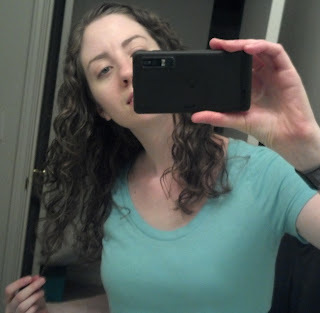 The main issue was that I kept forgetting to take pictures of my curly hair while standing awkwardly in front of the bathroom mirror. Curly hair also reflects light in a different way, so most pictures didn't even show the curls very well. For the next picture, I apparently thought tilting my head would help. And that ends that bit of procrastination. 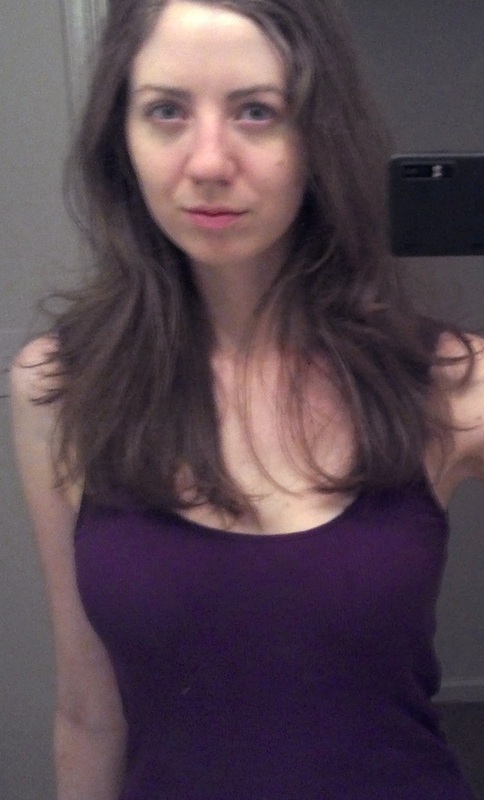 You now know what my hair looks like post-cut and can be sure of what I look like. Another thing I've been procrastinating on is starting to draw again. So I drew something. 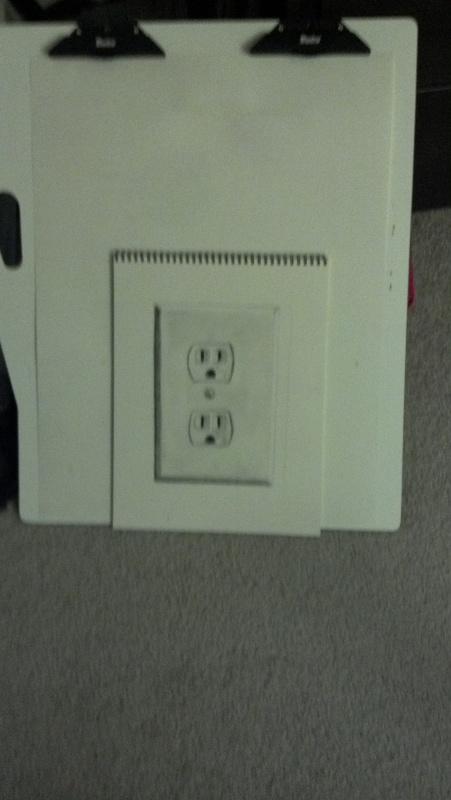 The something is the wall outlet faceplate that is by the tv. 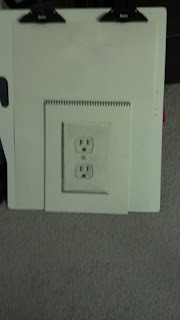 Here is a not great quality picture of my drawing. Now to keep it up. The ongoing procrastinations that I have involve decorating. There are several things I want to do because everything is very plain here. 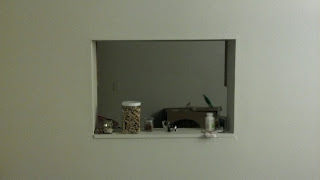 I really want to do something about the blankness of this window which looks into the kitchen. 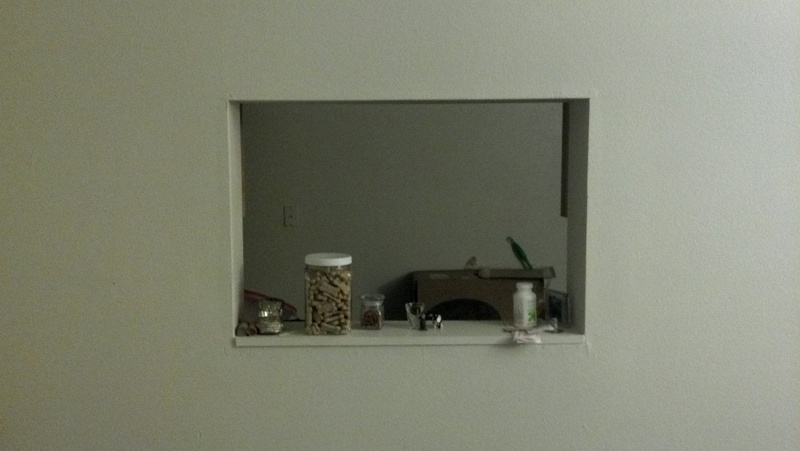 I have an idea for the window. I have everything planned out for it. I know what I need to buy, what I need to do, and the timeline for how long it will take. I just... don't want to spend the time to put it up just to take it down in a couple of months when we move to a more long-term place. And yes, that container is full of biscuits for Lucky. The tiny one next to it has treats for Kat who is now too picky to eat them.